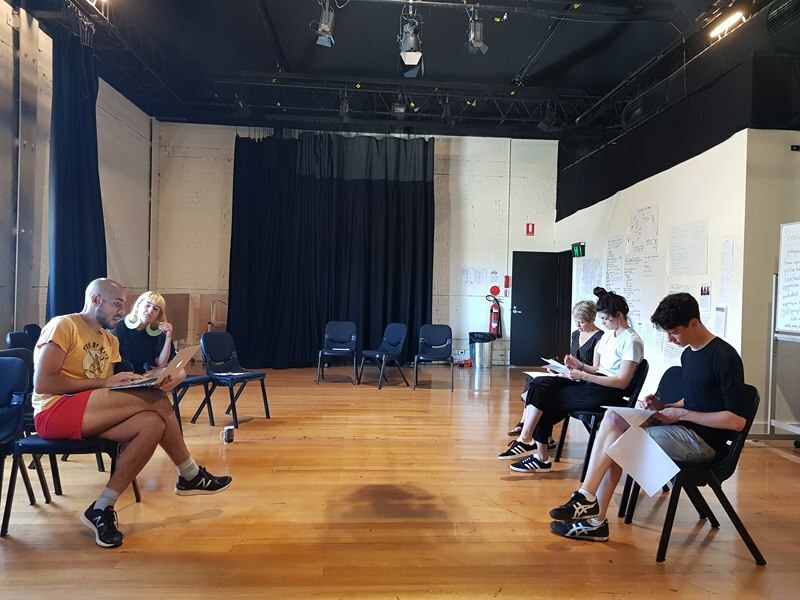 A week-long intensive used Forum Theatre to engage in a conversation about prejudice, bullying and discrimination experienced by queer and gender diverse people at school, home and within community. Invited for a week long series of workshops with third-year nursing students to explore culturally safe care for all Australians. Students were invited to identify a professional situation relating to culture and health that was challenging and asked to critically reflect on the event/incident focusing on the concerns they encountered in relation to the care of the person. They were encouraged to examine the historical and social factors that structure a situation and to start to theorise the causes and consequences of their actions. full article write up HERE. An intensive workshop with Theatre of the Oppressed Soweto group. Throughout 2014, RISE and NMIT had a partnership which extended to Forum Theatre workshops as a means of building confidence, self-esteem, communication skills and public speaking with NMIT students (16-26) who are from asylum seeker, refugee and migrant backgrounds . The program complimented the existing NMIT YAMEC curriculum and built on creative ways to assist students with expression, development of narrative, and presenting to audiences. The program also offered an opportunity for students to engage with theatre and recreational supplementary activities which supported, built on and provided material for presentation pieces. These activities included an outing to Melbourne’s tallest building, the Eureka Tower as well as a dance theatre performance at the Arts Centre. A synthesis of page, stage and sound to deliver a unique live, literary and theatrical experience direct from Melbourne’s concrete jungles. An evening of storytelling, visual arts and live music bringing stories from Melbourne’s high rise urban environments to Club Voltaire for Melbourne Fringe 2013. At the conclusion of the workshop participants may have the option of recording their finished pieces at RISE’s Recording studio. The Forum Theatre for Social Change workshop was the first joint initiative between Victoria University and RISE Refugee. The workshops were geared towards undergraduate and post graduate community development, social work and performing arts students. An evening of live performance, poetry and film to mark Refugee Day at the State Library of Victoria. Information HERE. Oversight and management of a 15 member team comprised of both Melbourne and Vietnam-based students. Facilitated the successful completion of the project by establishing and meeting key milestones, including preparing, planning and delivery meetings as well as liaise with project partners, industry representatives and other stakeholders.